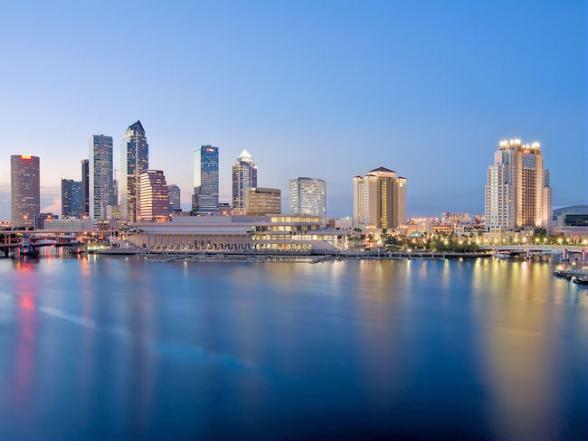 Tampa Bay – home to Busch Gardens and Adventure Island has long been a favourite with families. Other highlights for those travelling with kids include Lowry Park Zoo, The Florida Aquarium and Museum of Science & Industry. Add in a day along the riverfront and you’ve experienced some of Tampa’s best attractions. Dig a little deeper and Tampa's more grown-up appeal is what makes the city really interesting. Tucked away in pockets nowhere near the tourist districts, most visitors never find this vibrant, urban edge. If you want to discover some of Tampa's urban charms, a little local knowledge will stand you in good stead. Bon Voyage will help you uncover Tampa Bay’s hidden gems! A Tampa tradition and local’s secret since 1956. The most distinctive shopping and dining destination on Florida's West Coast. Rooms are spacious and the bed a treat, but nothing beats the stunning views of the bay. We love a hotel with a story - this one used to be a federal courthouse. It's one of the most interesting renovations we've seen. Culinary concept meets contemporary, urban retreat and we couldn't love it more!